The Inglewood is an impressive two story plan with three bedrooms and a two car garage and makes great use of available space. The large two story foyer creates an impressive entry, with plant shelves over the powder room and coat closet. A distinctive barrel vault above the doorway marks the transition to the main living areas. The family room is large and open, with four windows overlooking the rear yard rear yard, and an optional fireplace. The family room is open to the kitchen, which includes an island sink and breakfast bar, as well as a large pantry. The adjacent breakfast area has plenty of natural light and an optional bay window available. A pocket office option is available in the kitchen, and a built in drop zone is also available. 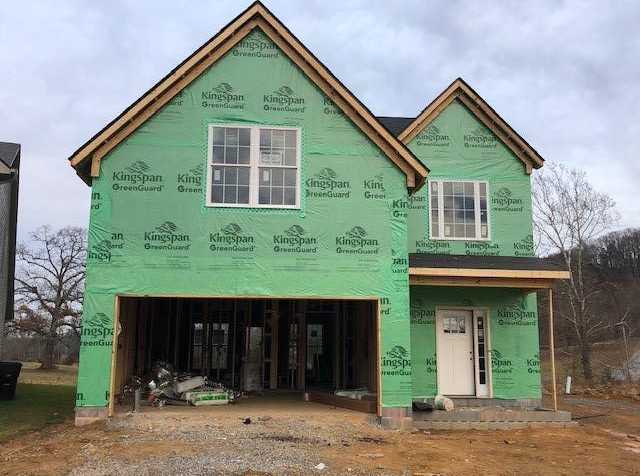 Please, send me more information on this property: MLS# 1048248 – $289,170 – 12602 Sandburg Lane, Knoxville, TN 37922. I would like to schedule a private showing for this property: MLS# 1048248 – $289,170 – 12602 Sandburg Lane, Knoxville, TN 37922.